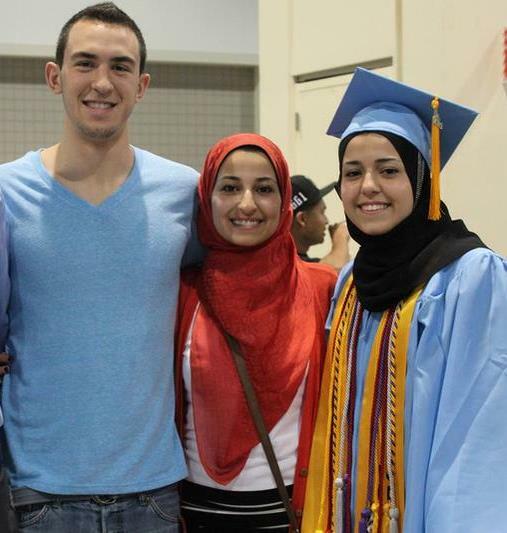 The chapel hill murders were an act of terrorism. Let us be clear about that. The fact that mainstream media says so little about it is appalling. The fact that these three bright young inspiring people needlessly lost their lives is tragic and it is chilling. Please watch this video – this is what the vast majority of American and Canadian Muslims are like…these beautiful, hopeful, inspiring, courageous, proactive souls who are true assets to all around them. It is a great loss to the community and a wake-up call that Islamophobia is alive and well. Saluting Deah’s sister for her incredible resilience and her great generous heart to do this. I will end with quoting another impressive young American Muslim, Hareem Mannan, who writes in her article “Blood on the Leaves: The Chapel Hill murders” published on VirtualMosque.com. Should I call them and tell them not to go out today? My mother and sister, the two most important people in my life, my best friends, who just stepped out into the 32 degree outdoors that feels infinitely colder today? Will college campuses and malls in this country ever provide the type of safety for my mother and sister, both dressed in hijabs (headscarves), visible symbols of the Islamic faith, require? Is this the world that I will have to live in– one where I will spend the rest of my life worrying if my mom and my sister, myself and my friends, will make it home? Or is this just about a parking spot, about a man who, as the New York Times described it, was involved in an altercation that was just a “lethal escalation of a neighborhood parking dispute”. Is this about questioning, as CNN puts it, “what role, if any, the victims’ faith played?” Is this about the fact that it literally took an international concerted effort on social media to even get this story to media stations, who still swiftly paint it with subtle pro-white, anti-Muslim propaganda? Or is this about the fact that I am Yusor Abu-Salha. My sister is Razan Abu-Salha, and my fiance is Deah Barakat. We each carry their story with us, in our siblings, in our daily lives as American Muslims, and furthermore in our efforts to balance activism with school and deen (religion) withdunya (worldly affairs), to get married and play basketball and be with friends and cherish our parents, just as they did. Today I mourn the loss of such excellent human beings, and tomorrow I will don my hijab (headscarf) with a melancholy pride. And it will feel a little heavier, a little more difficult to wear, and as each of these Islamophobic tragedies adds to its gravity, I pray I never have to choose between hijab and life. I pray I never see the day I am not capable of bearing its growing responsibility. And I pray for the safety of all my Muslim brothers and sisters imprisoned by twisted perceptions of their religious beliefs in this land: the land of the “free”, home of the scared. Deah Barakat, Yusor Abu-Salha, and Razan Abu-Salha will never be forgotten. Let their legacies be that of phenomenal human beings, beautiful people who touched the lives of so many through their selfless character and glowing personalities. Put their names down in our Muslim American history books; tell your kids about them: about these stunning human beings, victims of a war that most of the population pretend isn’t being fought every single day, martyrs in every right. Let them make du’a (supplication) with you every night that they are in the company with the very first victims of this senseless war against believers of this faith, Yasir and Sumayyah (may Allah be pleased with them), more than 1400 years ago– may Allah subhanahu wa ta`ala (exalted is He) allow them to join their ranks in Paradise. Let their deaths not be in vain. Let them be the seeds they tried to bury that, instead, gave fruit to a revolution. Demand a re-visitation of the narrative that brands brown men killing over the loss of their countries, families, and homes as terrorism, and white men killing over parking spaces as just that. Demand a re-visitation of the narrative that causes our belief system or varied level of melanin to detract not only from our right to thrive, but also our right to survive. And bring the world to its feet: let everyone come to the realization that this was not about a parking space. It was never about a parking space. I have no words to say so I am sharing quotes. Perhaps I will save my energy for action and leave the words to others for now. But I have grown up in a country at war and racial conflict. I know it can take a mountain to move people’s minds…or it can take just a moment of true sincerity. Take a moment to think about what is happened and what is going on here. Let us be truthful, the whole story needs to be acknowledged. We pray that people have access to sound knowledge, increase in wisdom, self-awareness and self-control and are able to be true. Ending with a picture that I find beloved. Allah forgive all their sins and grant them the highest paradise, strengthen their families and give them fortitude during this difficult time. I had hoped I could move on from the terrible Charlie Hebdo attack, at least on this blog, which was never intended to be political, but tonight a question posed to me by a close friend has prompted this post. She asked me where the Muslim voice is in condemning the massacre. I explained as best as I could, trying not to get emotional as I outlined the very apparent bias in Western mainstream media re the Muslim voice in general, never mind when it matters the most. As expected, when I got home and googled it, I found that it was only obscure or hardly major media giants that carried the condemnations. I am therefore going to compile them, whatever I can find at least, here. This is by no means an exhaustive list. Well, it doesn’t take much general knowledge to surmise that the 7 countries that have been silent are pretty well embroiled in their own troubles currently to say anything about anything going on in the world. Those are some of the poorest countries in the world. “Islam does not approve of killing innocent people, whether in Paris, or in Syria, Iraq, Yemen, Pakistan and Afghanistan,” according to the Islamic Republic News Agency. The Spectator carried this piece, allowing ordinary Muslims to air their views. I can go on, but I think the point is made. Of all the so called ‘Muslim’ terror organizations out there, one of the most deranged and cruel in my opinion is Boko Haram. I pray they will be stopped in their mad scourge and relentless brutality. But had it not been for the figure from Judaism-Islam below, even I too would have not had what they recently did in my immediate memory. But look at the image below…and let’s take a moment to be honest with ourselves as to what this says about the ‘politics of media’. Finally, for those of you who don’t know – presumably many don’t as hardly any media covered this. Sometime ago, many major religious figures in the Muslim world wrote an open letter to Baghdadi, the one who calls himself the leader of a new Islamic state, the leader of ISIS. In it, they give scholarly proofs as to why his position, ideology and method is not within the fold of Islam and obviously condemned in the strongest possible terms. It is an open letter hosted at www.lettertobaghdadi.com. I am a proud signatory of the letter, and join hundreds of others. 1- It is forbidden in Islam to issue fatwas without all the necessary learning requirements. Even then fatwas must follow Islamic legal theory as defined in the Classical texts. It is also forbidden to cite a portion of a verse from the Qur’an—or part of a verse—to derive a ruling without looking at everything that the Qur’an and Hadith teach related to that matter. In other words, there are strict subjective and objective prerequisites for fatwas, and one cannot ‘cherry-pick’ Qur’anic verses for legal arguments without considering the entire Qur’an and Hadith. Here is the complete letter. Pages 18-23 colate signatures from leaders all across the Muslim world. Please take a moment to forward this post to anyone who may have that same question please. I leave you with wishes of peace and may God protect us all from darkness. Remember the Muslim is not allowed to be sad :), so keep smiling….it’s sunnah! It’s been a difficult week. Who knew that the day after my previous post on one deranged incident, another, more shocking attack would occur. Instead the mosque held a press-briefing and I am glad they did so. Glad they also talked about this man’s visits to the mosque and his objections to non-Muslims being welcomed at the mosque, and the mosque authority’s condemnation of that attitude – saying the mosque has always been a place of welcome for all people (of any faith or not) and it will continue to be that way. And I am doubly glad this man was not allowed in the mosque thereafter. I am sad the mosque received death threats and other mosques have been vandalized. It is not unexpected. But it is sad. Muslims have been fighting those who call themselves Muslim and use the religion for their own power-struggle far longer than the west has. I wish the media that so often talks about the Kurdish forces, or Pashmergas or Iraqis or Pakistani military that are the real front-line defenders against ISIS and their ilk, would mention that all these forces are composed of primarily Muslims. They seem to never refer to the fact that they are Muslim, but so easily link the term ‘Islam’ with extremists. 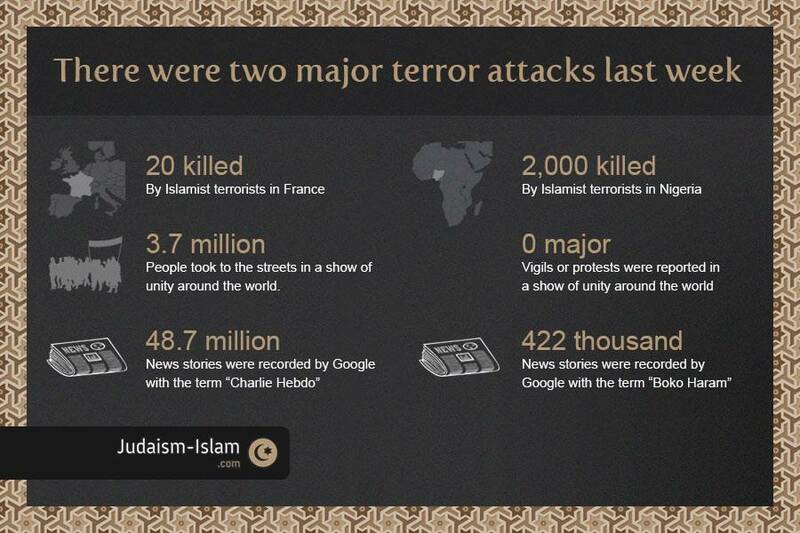 Muslims are the ones that have suffered the most at the hands of extremists but we will continue to fight them. What does not help is the media’s often immature reporting of the matter. So then a breath of fresh air in this morning’s CBC report. Not only because of the incident, another example of the type of happening I have witnessed so often in this land…that has stuns me over and over again as to how blessed I am to live here. But also because CBC reported it. How many a media organization has passed by so many countless other incidents like this that I am sure have happened all over the world. Please enjoy. There is a lot of disease and misguidance amongst humanity that must be treated or eradicated. All of humanity are brothers and sisters and we have to help each other. The sound human heart is kind and it is strong, and there is no fear. The post I planned to write today is going to be superseded by sharing a clip that I think is vital to share. Especially given the rather troublesome news I received today. I am signed on to the NCCM, National Council of Canadian Muslims (if you are a Canadian Muslim and not part of this organization, I highly suggest you join them or support them in some capacity) mailing list, and came home to find in my inbox a condemnation issued by NCCM of the senseless attack on Canadian officers today in Quebec, by a self-proclaimed recent convert to Islam. Linked here. This was alarming, the last thing one wants to see is a trend of radicalization in this peaceful country. There also seems to be a trend of new ‘converts’ to Islam joining a radical understanding of the faith. Easy to understand, given they have little knowledge or understanding of Islam. But how this brain-washing takes place, I am at a loss to understand. It is as if these so called converts are using Islam as a means to take out whatever social deconstruct they are suffering. Others have spoken with more data and eloquence on this trend, so I won’t go into it more. My topic is related though. For if it is that these converts are ripe for the plucking by elements who want to abuse their sincerity, then the rest of us need to do more to stop this. Even more urgency for women to step up. 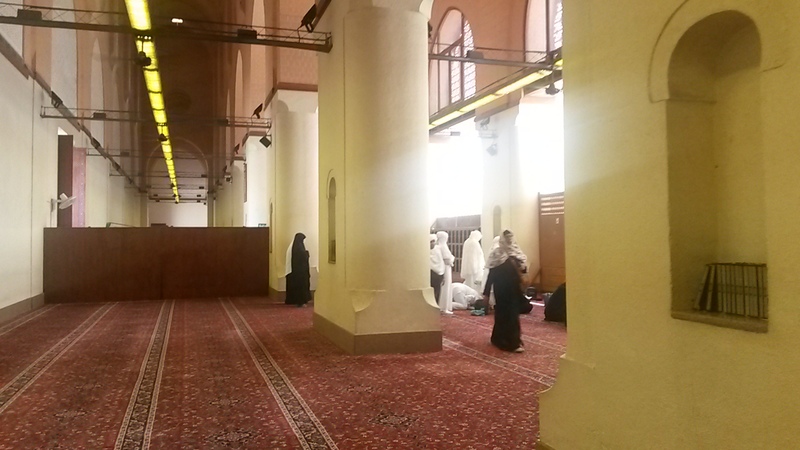 The mosques are alarmingly empty of women in day-to-day activities. Women have always brought a nuanced and merciful understanding to any sphere of knowledge. Take the women away and the men are hard pressed to cope with the needs of the modern Muslim community. 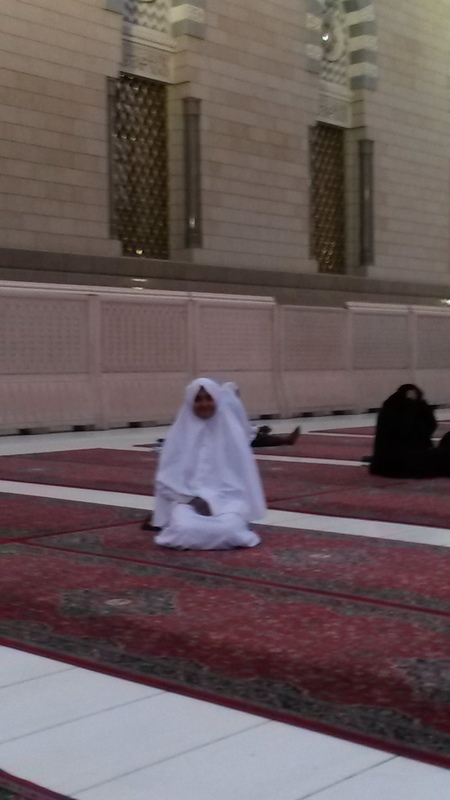 I moved closer to a mosque recently and try to pray in it whenever I can. Often I am the only woman there. We women have to retake our place in our community-shaping and nation-building. I’ve run a halaqa (knowledge circle) for Muslim women for a few years. The amount of misconception among Muslim women as to their place in this tradition is astounding. Even from educated (I’m talking PhD educated), thinking females. Therefore this candid interview, obviously filmed many years ago but only recently released to youtube, is a breath of fresh air. It’s a group of women, reverts and born-Mulsims living in Saudi Arabia, talking to Sheikh Hamza Yusuf, a well trained classical Muslim scholar. I am glad the issues in the community were called out openly and more glad to hear honest answers from a scholar. Part 2 is especially important. So I will post it first. BTW, some of the comments on the videos are a telling reminder of how much still needs work in our community. So my sisters, today’s events are a fresh reminder of how we have little time to waste. I especially want to highlight Sh. Hamza’s comments at about minute 8 of part 2. He speaks of his displeasure of reading books on ‘womens’ role in Islam’, as how they often say the ‘primary purpose of women is child-bearing’ he goes on to say, and I quote, “I mean, where is that in the Quran…I’ve never seen that, I’ve never seen a the hadith that says that. The primarily role of a woman is to know her Lord, like the primary role of a man is to know his Lord” and he goes to elaborate. Indeed music to my ears! Indeed, reading those books as a teenager, even then I instinctively knew there was something not right there. I was studying my faith then, and I came to it very much by research and conviction (my journey to Islam will one day be a post inshaallah), and never in the 20 odd years I’ve studied this religion have I found anything in it that is not inherently leading to truth. I hope you watch this. They are both very short. And please share widely. The rights of the Hajj pilgrimage are over and it is time to celebrate. The hujjaj (=pilgrims) will be shaving their head or cutting locks of their hair off to symbolize their completion of the pilgrimage and soon the ‘udhhiya’ will be carried out. Udhhiya is the term given for the religious sacrifice of an animal, where each pilgrim must sacrifice a goat, sheep, cow or camel and distribute it’s meat to the poor. There are rules governing the distribution, with at least 1 third being obligated to be distributed to the poor. This year, there would have been over 2 mill pilgrims amounting to about 500,000 sacrificial animals at least. It’s commendable that the Saudi government has put in place a system whereby the meat from this massive sacrifice is processed in modern facilities and then distributed to the poor of over 30 different countries. And though some of you may find this hard to believe there are plenty of people in many parts of the world where this is the only meat they see the whole year. I personally have heard of many such cases. You have fulfilled the vision.” Indeed, We thus reward the doers of good. The lesson from the Hajj is about trust I think. Certainly the sacrifice is all about trust. Both Abraham and his son (peace upon them both) completely trusting of the will of God and that it is good for them. The pilgrimage is arduous and one is forced into circumstances and situations where one’s usual ‘props’ are all taken away. Everyone dressed alike and stripped of all the illusion we surround our souls with in terms of material possessions, we are confronted with our humanity. Confronted with our utter need and dependency. No wonder all who go have something to say about this life-changing experience. I was searching for a video to share for Eid, and I found this 8 min clip of thoughts shared by returning pilgrims. The last speaker said what I found to be especially enlightening. Eid Mubarak once more! I leave you with a clip of the hujjaj performing their final circumbulation of the ka’aba, symbolizing many things, among which, the muslims willingness to rotate their life around the axis of God, and aligning oneself with the movements of the planets and constellation and galaxies that we also believe are rotating around the axis of the One Creator. They chant as they go the ‘eid takbeer’, which we also chant in our homes during the times of Eid as we celebrate with them. Things are slowly settling in the new place and I am recovering from a few ailments past as well as some new developed during the move. For my Muslim readers, I ask that you please keep me in your du’a (=prayers) for a speedy and lasting recovery ‘hasana’ (=good, beauty, excellence, nobility) in this world and most importantly in the hereafter for me and my family, especially my mother who is fighting a cancer discovered last year. I ask this especially during the ten days that are about to be upon us (God grant we meet them). The first ten days of Dhul Hijja. Dhul Hijja is the name of the last month of the Muslim year. 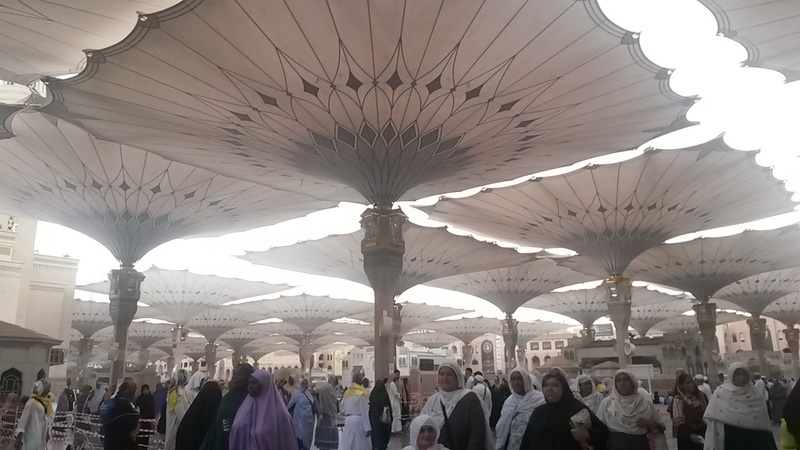 It is during this month that the annual Hajj pilgrimage is performed. The ‘eid’ (=festival) of Hajj, in this case called ‘eid-ul-adh’ha’ (=festival of sacrifice) is on the 10th of the month and marks the end of the rights of the pilgrimage. The pilgrimage is an obligation upon a Muslim who has the means (monetary and physical) to make it, and due at least once in a lifetime. It is the fifth of the five pillars of Islam. The others being the testification of faith, the salah (=five times a day ritual worship), the fasting in Ramadan, and the giving of 2.5% of one’s savings to charity called ‘zakat'(=purification) – an annual ‘tax’. I have been longing to go but visa restrictions still prevent me. My beloved grandmother (and I ask you for your du’a upon her too, is mostly bed-ridden now, yet a smile never leaves her face. Allah bless her abundantly!) performed the pilgrimage when she was 75 by the grace of God. She needed to spend some days in a nursing home to recover when she came back severely dehydrated. She told me to go when I was young, so I would have the strength to fulfill the rights of pilgrimage and spoke highly of the multitudes of young women from Indonesia she saw performing the pilgrimage. In the old days it used to be that a village would gather to bid farewell to a pilgrim, not really expecting to see them return and many are the pilgrims who go in the mental state of not expecting to come back. They prefer death in the blessed land close to where the beloved, the messenger of God, Muhammed (peace be upon him) lived. Though it is not so long ago, I did hear of people who did not come back from the Hajj when I was a child. It was difficult for the families but there was always a sense of peace with this news. 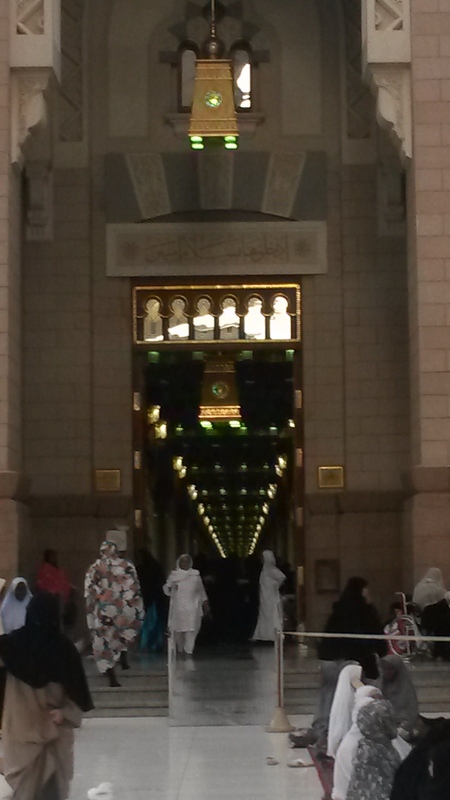 Inna lilllaahi wa inna ilaihi rajioon (=from God we come and to Him we return). Yet, these 10 blessed days are open to all in terms of their merit in drawing near to God and many Muslims engage in extra acts of worship at home. Anse Tamara Grey, a ‘sheikha’ living in the USA organizes the annual ‘pilgrims at home’ event for sisters. Here is a link FYI. Commemorating the sacrifice our father, the prophet Abraham (peace be upon him) was so ready to make of his son, the blessed prophet Ismael (peace be upon him), we follow rituals that remind us of this event as well as of the struggles of Hajar, the blessed mother of Ismael. She, when left with her baby (Ismael in infancy) in that barren dessert, ran from hilltop to hilltop looking for help…crying for water. It was then that she discovered the well of water that had sprung up by the feet of her infant son. She was desperate to collect the water and built a ridge of sand around it, crying ‘zam zam’ (=stop, stop)…so the water would not run off. That well to this day has been supplying all the inhabitants of Mecca with water. Pilgrims will often fill what bottles and vessels they can with it and bring it back home, and then distribute it as a precious gift from the hajj. It is a sacred gift, and I have drunk of it. It has a particular taste, attributed to its higher than usual mineral content. Nowadays the water from the well is managed in a modern way and pumps are used to draw it up to supply the pilgrims and others. More information can be found here at the ZamZam studies and research center in Saudi Arabia website. , part of the Saudi Geological Society. I pray one day I can go, and I pray I can go soon. 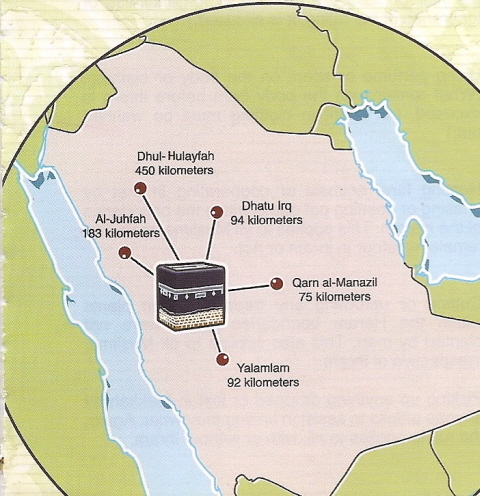 For the news of the mega-construction projects all around the haram (=sanctuary, another way of terming the ‘ka’aba in Mecca and the prayer enclosure around it) are very depressing to the spirit. I used to love to see photographs of the haram in the past. Now with that gargantuan clock-tower complex towering over it, the sense of aesthetic is severely dampened. It is an eye-sore, I have to be honest. The haram itself is undergoing major renovation I heard, and soon it may not be possible to see the ‘ka’aba (=literally, ‘cube’. Guess where the English word cube came from? 🙂 ) unless close to it. I have read, though I pray it is not true, that the graceful, elegant and aesthetically so pleasing porticos built during the Ottoman time by the great architect Mimar Sinan (I blogged about him here) may be torn down. What a tragedy that would be. Muslim art and architecture has always had a quality of grace, of being able to transport the spirit out of the body. I am not sure the modern day Saudi government appreciates that quality! I wanted to point you to a very nice article written by a recent hujjaj (=pilgrim) appearing in the New Yorker. It is beautifully written and contains pithy and poignant little pieces of wisdom and insight. My dear non-Muslim readers may find it especially informative and an easy read. It is too long to copy-paste here. Here is the link. 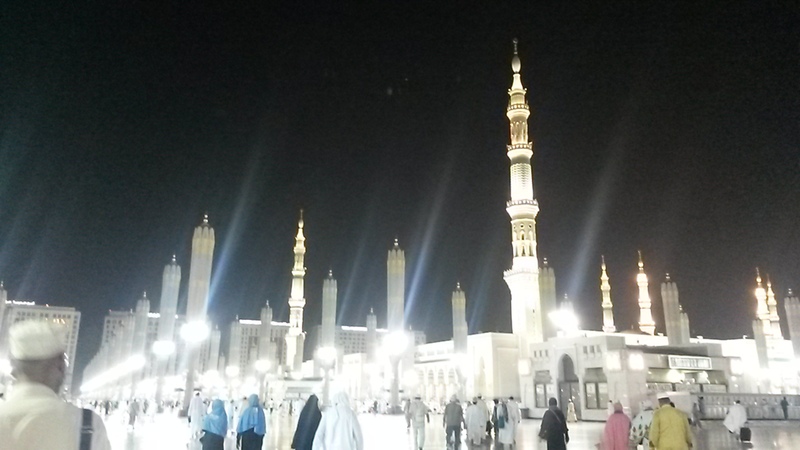 Called ‘Modern Mecca; the transformation of a holy city’. My Muslim readers also may find it very informative. Finally to end I thought to share a documentary link on the hajj. Youtube is filled with them. I recommend one by National Geographic tracing the journey of three different hujjaj from around the world, even a Biology professor from Texas. But I picked this one to share, about 5 hujjaj from China. So as to shed light on the 20 million strong ethnic Chinese Muslim community (below). Watching it I could not but help thinking of the pure hearts of the hujjaj highlighted in it. We believe that it is only God who knows a person’s heart, and indeed that all and any act of worship is only acceptable to God or not, based on the sincerity in that heart. That it is done for the sake of pleasing the Most Beautiful One, only. A glimpse into their simple lives brings serenity to the heart. May God bless their beautiful souls. We believe that should the hajj be acceptable to God, one returns from it as pure as a new-born babe! May Allah shower His abundant grace upon the hujjaj of this year, and accept their efforts, granting them this high state. And may we one day be among them.